The Bundesteilhabegesetz (Federal Participation Act), passed in December 2016, regulates support for disabled people’s participation in society, in a significant reform of social laws that comes after more than 40 year of discussion. The law is intended to implement the UN Convention on the rights of the disabled in different spheres, but it still falls short in several ways. Disabled people’s organisations in Germany had demanded major changes in the legal system for many years – one reason being that existing laws tended to support the institutionalisation of disabled people rather than their inclusion in society. 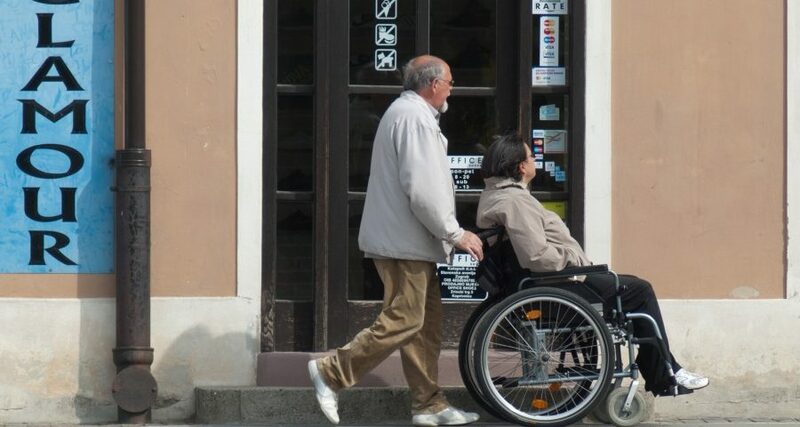 The existing law also imposed financial penalties on the disabled, in that help from the social welfare system was available only to those with savings of less than 2,600 Euro. Disabled people – and even their partners – endured hardship in order to receive this financial help. We wanted to overcome those discriminations and disadvantages and with the new law to implement the UN Convention on the Rights of Persons with Disabilities. Our campaign for the Participation Law had several goals. We wanted to move away from the welfare system into a modern law that put the participation of disabled people in the centre of society. We wanted to implement the UN Convention on the Rights of Persons with Disabilities in a way that enabled disabled people to live, work, spend their leisure time, and go to school in inclusive settings rather than in special institutions, many of which still exist in Germany. And we wanted money to be provided for independent counselling services – including peer counselling – so that disabled people get the information they need in order to use the laws to maximum benefit. We also wanted personal budgets for participants rather than the money being given to institutions. There are still many aspects of the new law – in effect since 1 January 2017 – of which we are critical. But we can also celebrate a number of successes and highlights of our campaign. We chained ourselves for 22 hours overnight to the railing of the Spree-river near the Berlin parliament to demand the removal of legal barriers to the participation of disabled people. We had immense press coverage on that protest, which gave the movement lots of strength and showed responsible politicians that changes should be made to the original draft of the new law. We also had a huge petition running for the right for disabled people to save their money in the same way as everybody else, which got almost 350.000 signatures. In general it was the constant pressure with demonstrations, actions, telephone calls, negotiations with politicians, and many other activities over months which was probably the biggest momentum of that campaign. While campaigning for this law we encountered an unexpected problem: the government presented us with a draft of the law which would have made the regulations worse for disabled people than those existing. The stated goal of the government had been to strengthen participation and to implement the UN Convention on the Rights of Persons with Disabilities. So what had begun as an interesting participation process with the government became a big resistance movement against the law. And the law is so complicated as to make it difficult to understand what practical effect it has on the lives of disabled people. Nevertheless we fought hard to translate the plans to the media and the public and were able to block some of the worst proposals of the government. At the beginning of the campaign we received money from Aktion Mensch – a German organisation which runs a big lottery and supports public awareness of activities for disabled people. Most of our activities were done with very limited resources and lots of voluntary work. Our biggest supporters were disabled people themselves. It was amazing to see how people with different disabilities started to work together and to hold protests together. There were so many activities going on over the past nine months in Germany. Besides that it was important that we also got the support of the big disability organisations in Germany. The National Council of Disability Organisations (Deutscher Behindertenrat) made clear statements about the law, which helped in the discussions with politicians. Members of opposition parties in parliament also did a good job in supporting us. In the coordination group for the campaign there were about ten people. In addition we had several groups which helped us enormously, such as the disabled lawyers, young disabled people who put information on Twitter and Facebook and the people from change.org the petition platform. We didn’t have to register our initiative because some disability organisations who were part of the campaign were already registered. We formed a coalition which coordinated the campaign. The original campaign for a good law for the participation of disabled people has officially ended, but different partners in the coalition will continue to work hard to inform people about the new law, to collect information about its implementation, and any human rights violations against disabled people. And we fight for making the law even better in the future. This year there are elections to the federal parliament and we will bring up this issue during that time and afterwards. We have learnt a lot from the Independent Living Movement of disabled people in many other countries such as the United States, Sweden, and Great Britain. We were part of the actions during the European Protest Day for Equal Rights around 5 May, and the international cooperation was and is very important for us. As we were able to profit from the experiences of other movements I am sure they can learn something from us. The use of social media was especially helpful in our campaign, as well as the petitions we ran on several internet platforms. The demonstrations and activities were also quite interesting and ranged from chaining ourselves to several places in protest, to blind people jumping into the Spree river near parliament.